CEO Alexandros Marinos said the company has been working for three years to make mainstream containers attractive to developers of embedded workloads, such as those found in IoT applications. The company calls this the "Industrial Internet." Resin.IO offers a development and deployment framework based upon Linux and containers (Docker) that is designed to facilitate control of the on-device environment, provision devices on the network, and manage of what the company calls a "fleet" of systems. These tools also make it possible to automate operations of "the fleet" and keep it secure through the use of encrypted communications to/from devices in "the fleet" that deploys two-factor authentication. Since Resin.IO has built its computing platform on Linux and containers, it is hoped that enterprises and suppliers just entering the IoT market will be comfortable and productive quickly. What the company isn't saying is that the techniques and technology it has developed for IoT can be used to address many other tasks that need to be based upon low-cost systems, perform well and can be both secure and manageable. First of all, I thinkResin.IO's work is important and worthy of some attention. 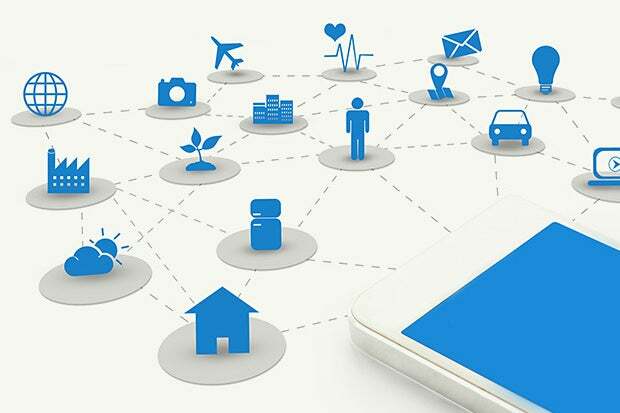 IoT applications represent distributed computing and might also be thought of as important to the future of clustering, technical computing and parallel processing. To that point, Resin.IO refers to an interesting article, "10 Amazing Raspberry PI Clusters" by Network World's Mark Gibbs, showing examples of Raspberry PI devices used to support complex workloads. After the briefing, I downloaded and read the article. If you are interested in clusters, high-performance computing, parallel processing and the like, it's worth your time to read the article. Today's IoT is an outgrowth of manufacturing automation and some forms of technical computing that have been in use since the early days of computing. What's different is the cost of the systems involved, their size, their power and, of course, their cost. Gibbs' article explored a number of cases in which researchers, academicians and other IT professionals harnessed together the power of many small Raspberry PI systems to create clusters powerful enough to "pull their workload." This reminded me of things my clients had done while I worked for Digital Equipment (now part of HPE) back in the early 1980s. The example systems in Gibbs' articles are all interesting and, in some cases, absolutely amazing. Hardware that costs well under $500 is doing the work of systems that cost hundreds of millions of dollars in the 1990s or address workloads that simply couldn't be addressed at all at that time. Resin.IO's work appears in support of today's industry moves to deploy many complex applications in a simpler way. While the company is focused on IoT today, the same techniques could be used for other types of workloads.